These sparkling, faceted gemstones are characterized by their needle-like inclusions which resemble black fibers on the inside. 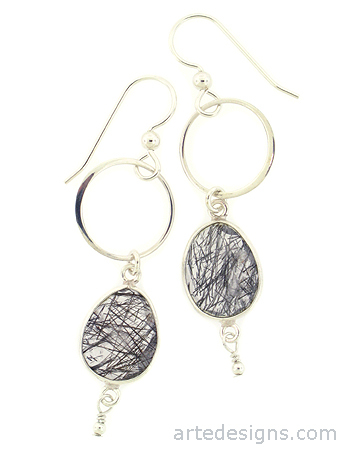 They are bezel set in sterling silver and hang nicely under sterling silver circles. Perfect go to earrings. No two are alike. Approximately 2.25 inches long. Sterling silver fishhook wires.